Boasting a population of more than 250 million, the fourth-largest in the world, and a disproportionately large middle-class as well as youthful population, Indonesia remains a market of immense potential for the retail sector. Foreign retailers in recognising this potential have taken a much more aggressive approach to the market in recent years. In tandem, local retailers have been trying to keep up by expanding into newly emerging regions and secondary cities. Meanwhile, the Indonesian government has also introduced measures to revitalise the country’s traditional markets that make up the traditional retail sector while also seeking to create a supportive environment for the country’s growing e-commerce industry. Combined, Indonesia’s retail sector is a patchwork of modern and traditional retail outlets with increased digitalisation accelerating the modern segment while also opening up new opportunities to entrepreneurs and the traditional market. Indonesia’s retail sector continued to record a steady, albeit slower growth throughout 2015 until the first semester of 2016 when the slowdown in global demand began to hit consumer confidence. According to the Indonesian Retailers Association (Aprindo), the country’s retail sector in 2015 only grew by 8% — 9% compared to double digit figures recorded in previous years. The global and national economic slowdown has caused people’s purchasing power and household consumption, that accounts for 54% of the country’s total GDP, to decline and impact retail revenue. The optimism about the future of the Indonesian retail sector was also apparent in the 2016 Global Retail Development Index (GRDI) published by global consultancy firm, A.T. Kearney, which placed Indonesia in fifth position, below China, India, Malaysia, and Kazakhstan, with a score of 55.6 and sales of $324 billion USD. This demonstrated a significant increase from Indonesia’s ranking of 12th in the GRDI survey in 2015. The GRDI survey illustrates that Indonesia is still considered a potential retail market despite short-term headwinds. The country’s expanding middle-class and youthful demographics comprising of 170 million people or 70% of its total population are key factors as to why modern retailers remain firmly fond of Indonesia. Both segments have high purchasing power and high consumption rhythms which drive retail sales (See Why Indonesia). This highly desirable feature of the Indonesian consumer was demonstrated within a survey by Euromonitor in 2013 which showed that 56% of Indonesians considered maintaining their lifestyle very important. This figure is higher than their counterparts in Brazil, Colombia, and Mexico which were only 25%. Since the first modern retail outlet was introduced to Indonesia through the opening of the Sarinah Department Store in 1962 which was followed decades later by the opening of the first foreign retail chain, Sogo, in early 1990s and the exclusion of the retail sector from the negative investment list through Presidential Decree No. 99/1998 which paved the way for foreign retailers to invest in the country, there has been a never-ending competition between traditional markets and modern retail. To date, Indonesia’s traditional markets are losing ground to their counterparts as they are unable to compete with modern retail. According to a study by AC Nielsen in 2007, the number of traditional markets in Indonesia decreased by 8% per annum, while modern retail grew by 31.4% per year. Based on data from the Association of Indonesian Market Traders (IKAPPI), the number of modern retail outlets has soared from 11,927 in 2007 to 36,000 in 2015, with convenience store or mini-markets being the sector’s fastest growing segment which had increased 400% in the last 10 years. Meanwhile, during the same period, the number of traditional markets have shrunk from 13,550 in 2007 to 12,000 in 2015. This decline is worrisome as currently 12 million people rely directly on traditional markets for their income and up to 50 million rely on it indirectly. The sector is the second largest employment sector in Indonesia after the agricultural sector. This is in contrast with traditional markets which are generally less organised, more difficult to access and less hygienic. The mismanagement of traditional markets is also apparent from the frequent occurrences of fires. As a result, most middle-income families, the country’s largest spenders, prefer to shop in modern retail outlets rather than in the traditional markets although the latter generally offers cheaper prices. This is one of the reasons why the revenue of traditional markets declined by 20% to 40% throughout 2015. Meanwhile, the Indonesian government is working hard to protect and increase the competitiveness of traditional markets through Presidential Regulation No. 112/2007 on the Management and Development of Traditional Markets, Shopping Centres and Modern Stores, Trade Minister Regulation No. 56/M-Dag/Per/9/2014 on Amendment to Trade Minister Regulation No. 70/M-Dag/Per/12/2013 on Guideline for the Management and Development of Traditional Markets, Shopping Centres and Modern Stores, and Interior Minister Regulation No. 20/2012 on the Management and Empowerment of Traditional Markets. In 2015, under a market revitalisation programme, the Indonesian government through the Trade Ministry allocated a fund of 997 billion IDR to revitalise 1,002 traditional markets; the plan aims to revitalise 5,000 traditional markets until 2019. The budget allocated for each market is varied between 2 billion to 20 billion IDR. The global economic slowdown has not deterred foreign and local retailers from expanding their markets in Indonesia. Modern retailers are not only expanding their business in large cities, such as Jakarta and Surabaya, but also moving out of town to secondary cities beyond provincial capitals and even to the eastern islands of Indonesia which are generally unexplored and underserved. The relatively low competition in those areas offers higher profit margins and growth to retailers compared to big cities where profit is greatly reduced by stiff competition, growing labour wages and high operating expenses (See Labour Pains in Indonesia). The Indonesian government has issued a number of policies to facilitate investment in the retail sector such as revising the Negative Investment List (See Indonesia’s New Negative Investment List: What Changes, What Stays the Same?). Presidential Regulation No. 44/2016 on List of Business Sectors Closed and Opened with Requirements to Investment allows foreign investors to own 67% of shares in department stores with a size of 400 to 2,000 square metres. Moreover, to reduce logistics costs and the price of goods, the government has accelerated infrastructure development in regional areas such as the Trans Papua roads which will facilitate goods distribution. Efforts are also underway to improve the negative image of modern retail by encouraging them to partner with small and medium enterprises (SMEs). This is in line with Trade Minister Regulation No. 70/2013 that requires at least 80% of various items sold in modern stores to be locally-made products. According to Aprindo, the proportion of local products sold in modern stores in 2015 was only 60% (See Indonesia's Creative Economy & Heritage Products – A Wealth of Opportunities). To achieve this target, modern retailers have simplified the requirements applied to the SMEs to supply their products. They are only required to put a barcode, a home industry food certificate from the local industry office, and a halal certificate on their products. Unfortunately, a substantial number of SMEs are still reluctant to become suppliers to modern stores due to their payment terms. Until 2015, only 1,592 SMEs had supplied their products to modern stores. Given Sarinah’s original purpose as stated by Indonesia’s first president, Ir. Soekarno was to promote as well as elevate locally-manufactured products made by small and medium enterprises, we are looking to strengthen our role in this regard. Indonesia’s traditional markets are losing out to the convenience of modern retail outlets, especially mini-markets, which are allowed to set up their own distribution channels and sell directly to residential areas, thus competing with independent shops which source their goods from the traditional markets. Meanwhile, in the downtown area, larger modern retail establishments such as hypermarkets and supermarkets are not only offering more convenient shopping experiences but also merging it with entertainment, dining, and recreational facilities. Additionally, modern retailers are more adept at creating sales and funding promotional strategies to attract shoppers. Responding to the easing of restrictions, foreign and local retailers have moved ahead with their expansion plans such as Indomaret which opened 1,560 new stores in 2015 and plans to add another 1,600 stores in 2016. LuLu, a newcomer from the United Arab Emirates, has committed to invest $500 million USD to construct 10 hypermarkets by 2017. Other players such as Matahari Department Store, Hypermart, Mitra Adiperkasa, Lotte Group, Lawson, Courts, IKEA, H&M, and others are also expanding their market presence. In 2016, Hypermart plans to open nine new stores, Foodmart will open four new stores and Boston Health & Beauty will open 11-12 new stores. Meanwhile, Mitra Adiperkasa plans to increase its retail space by 50,000 square metres. Matahari Department Store has allocated 450 billion IDR to open eight new stores. Matahari Group has been aggresively tapping into new markets in the eastern regions of Indonesia by opening 20 Hypermarts, 20 Bostons, and 5 Foodmarts (See Indonesia’s FMCG Sector; Marred by Low Confidence but Boosted by Modern Retail). Japan’s largest shopping centre operator and developer, AEON Co., has set foot in the Indonesian retail market by opening its first-ever store, AEON BSD City Store, which will be increased to 10 stores by 2020. South Korean retail giant, Lotte Group, has also aggresively increased its footprint in Indonesia. In five years, Lotte Mart has opened 39 stores which consist of two supermarkets, 13 hypermarkets, and 24 wholesalers. Lotte still considers Indonesia as a potential market and will open new branches, including in the eastern regions of the country. Going forward, the growth prospects of Indonesian modern retail is still bright due to its penetration rate of 12% which is still considerably low compared to Thailand, Malaysia, and Singapore that has reached 42%, 53%, and 70%, respectively. This means that there is still plenty of room for modern retailers to grow, especially in the regional areas. In addition to traditional markets and modern retail stores, a new, potential segment has emerged in the Indonesian retail sector in the last few years. Although its market share is still small, many predict that e-commerce will become an important retail segment in the future. According to the Indonesia Investment Coordinating Board (BKPM), investment in the e-commerce sector in 2015 reached $19 million USD or down $8 million USD from $27 million USD in the previous year. However, in terms of project activity, the investment was up from 65 activities in 2014 to 67 activities in 2015. In the first quarter of 2016, investment in the e-commerce sector reached $5 million USD comprising of 24 activities. Many foreign investors have set their eyes on local e-commerce players due to their huge growth potential. After all, a number of local e-commerce brands such as Lazada.com, Tokopedia.com, MatahariMall.com have increasingly become household names and gained the public's trust which has led to increased transaction values. Mataharimall.com, for example, secured funding of $500 million USD from Lippo Group, while Tokopedia.com obtained funding of $247 million USD from a number of investors. The most recent event was the purchase of Lazada.com by Alibaba.com at $1 billion USD. Many predict that e-commerce will occupy 20% market share in Indonesia’s retail sector over the next four years. Currently, digital retail only accounts for 5% of total domestic retail transactions. 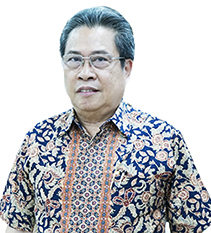 The Minister of Communication and Informatics Mr Rudiantara expects e-commerce’s transaction values in 2016 to reach $20 billion USD. This optimism is underpinned by the country’s huge number of internet and smartphone users (See Indonesia and the Internet; Online & On the Move). According to a report by a global logistics firm, SingPost, there were 5.9 million people who made a purchase online in Indonesia in 2015. Meanwhile, Indonesia’s E-commerce Association forecasts that domestic e-commerce transactions will triple from $8 billion USD in 2014 to $25 billion USD in 2016. Two constraints hampering e-commerce development in Indonesia are lack of public trust in online shopping and the lack of human resources in information technology (See Vocational Education in Indonesia; Crucial to Compete in the ASEAN). The government is trying to attract FDI to support e-commerce development by revising the negative investment list to allow foreign companies to own 49% of shares in local e-commerce companies. Increased digitalisation will also have an impact on the more traditional segment and for budding entrepreneurs. Indonesia’s proclivity for social media as well as use of apps such as Gojek has enabled smaller retailers to gain immediate access to a well-established logistics network in order to distribute their goods and gain exposure to their target market. As Indonesia’s e-commerce space continues to mature and gain customers, the traditional and modern segments of the market will converge. However, modern retail will continue to dominate further as Indonesia’s growing middle-class increasingly seeks out new lifestyle and entertainment outlets which modern retail facilities can provide. Indonesia is gaining recognition as a major consumer market considering that domestic consumption accounts for over 60% of GDP. This section looks at how modern retail outlets such as hypermarkets and malls are gaining market share among Indonesian consumers.